Video laryngoscopy-assisted tracheal intubation devices have become substitutes to conventional laryngoscopes since recent past. These systems provide a clear image of the vocal cords and larynx on a display monitor, enabling control of the endotracheal tube (ETT) in its trajectory toward the airway. These devices display facilitates fast view, accurate ETT placement in difficult airways, avoiding complications resulting from improper tube placement. Anesthesia video laryngoscopy systems improves the view with laryngoscopy along with improved initial success rates, and help in the management of challenging intubations in order to improve care and reduce harm to patients. The global anesthesia video laryngoscope market size was valued at US$ 194.5 million in 2017, and is expected to witness a robust CAGR of 6.8% over the forecast period (2018 – 2026). Increasing awareness among healthcare professionals regarding technologically advanced medical devices and equipment coupled with the advantages offered by these products over conventional laryngoscopes is expected to increase adoption rate of anesthesia video laryngoscope. Videolaryngoscopes make tracheal intubation easier in cases with previously failed intubation. It minimizes intubation difficulties, increase the overall success rates of intubation, and can be used to teach beginners. However, video laryngoscope lack the versatility of flexible bronchoscopic intubation, as these products cannot be introduced through nasal cavity. Advancements in intubation have led manufacturers to develop innovative products that offer greater accuracy and better support to healthcare professionals. Robot-assisted devices help to automate anesthesia care by reducing the pressure on anesthesiologists and improving overall patient care. Various manufacturers and researchers are studying the use of robotics in a wide range of laryngoscopy procedures. Robot-assisted intubation improves performance and safety in anesthesia delivery. Moreover, video images can be easily stored on servers and low-cost SD cards and can be transferred to other users, allowing for remote recording of activity and teaching. McSleepy, da Vinci, and Kepler Intubation System are few examples of robotic assisted intubation. According to the Brazilian Journal of Anesthesiology study, 2014, video laryngoscopy with C-MAC (Karl Storz) improves the glottic view and increases the success rate of tracheal intubation in cases of difficult intubations with conventional direct laryngoscopes. The study reported that video laryngoscopes offer a potential solution that allows better imaging of the larynx as compared to conventional laryngoscopes. 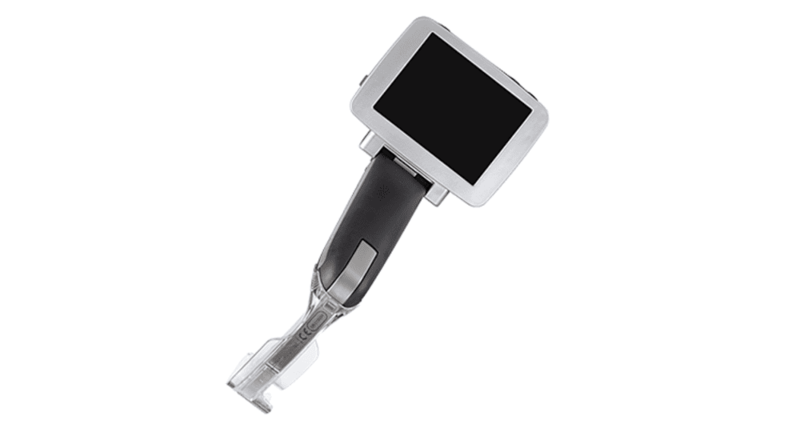 Major players operating in the global anesthesia video laryngoscope market include Medtronic, Ambu A/S, Verathon Medical, Karl Storz, Teleflex, Daiken Medical Coopdech, Pentax-AWS, and Vyaire Medical.